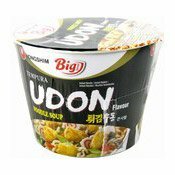 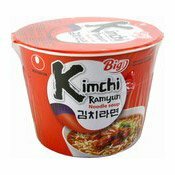 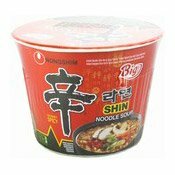 Ingredients: Noodles: Wheat Flour (Gluten) (55%), Palm Oil (Contains (E306)), Salt, Acidity Regulators (E501, E500), Humectant (E452). 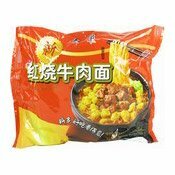 Soup Powder: Salt, Flavour Enhancers (E621, E635), Sugar, Spice, Beef Extract (1.4%), Yeast Powder, Anti-Caking Agent (E551), Colour (E150b). 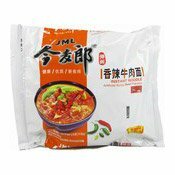 Sauce Sachet: Palm Oil (Contains (E306)), Beef Extract (1.2%), Scallion, Ginger, Garlic, Salt, Flavour Enhancer (E621), Spice, Colour (E160c). 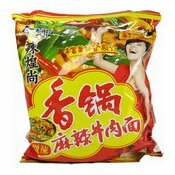 Dehydrated Vegetables Sachet: Cabbage, Carrot, Scallion, Texturised Soy Protein. 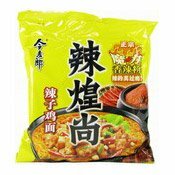 Simply enter your details below and we will send you an e-mail when “Big Instant Noodles (Stewed Beef) (今麥郎紅燒牛肉麵)” is back in stock!